If you want a compact SUV that’s both capable of going on the trails in your area and being comfortable on the roads, the Jeep Cherokee is the right choice for you. Imagine the ride around Tyler, TX in the Jeep Cherokee SUV that has plenty of room for gear, seating for your family, and the ability to give you the ride you need every day. Are you driving around looking for the right place to find the Jeep Cherokee you want to enjoy? 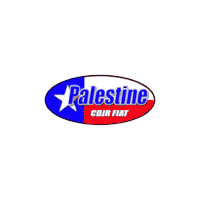 If so, you need to make the turn to our dealership of Palestine Chrysler Dodge Jeep Ram Fiat today. We’ve got a ton of Cherokee models on the lot for you to choose from so that you can have an amazing vehicle to drive. Whether you choose the Trailhawk model that’s an amazing off-road machine, or you stick with one of the lower trims, you’re going to see this SUV as the perfect drive for you. Let’s take a ride so that our team can show you how much the Cherokee has what you’re looking for so that you can have an SUV that fits your lifestyle easily. Most of us picture the Jeep Wrangler when we think of the Jeep brand, but the Cherokee is something completely different. The Cherokee is more than competent on the road to make sure you can let the kids relax, feel the smooth power and easy suspension, and take advantage of the technology offered. There aren’t many SUVs on the market that have the ability to be comfortable on and off the road, let the Cherokee be the right one for you when you see our team and take a test drive today. If you’re looking for an SUV that can offer you the qualities you’re looking for, the Cherokee has more of what you want. Not only is this SUV filled with features, but it also has the ability to bring more stuff. Whether you choose the four-cylinder model that can tow up to 2,000 pounds or step up to a more powerful engine that offers you the towing capacity of 4,500 pounds, this SUV is one that allows you to bring all the gear you need. Increase the fun with the Jeep Cherokee you drive from Tyler, TX to your adventure location. The best part of buying or leasing a vehicle at our dealership of Palestine Chrysler Dodge Jeep Ram Fiat is the deals you’ll be offered. We offer you an incredible number of deals that can make sure you’re going to be ready to have the drive you’re after. Our sales team will make sure you can get behind the wheel and experience an excellent drive when you head out on the road. The Jeep Cherokee can be the vehicle that offers you the freedom and the qualities you need; ask our team to help you find the right one today.